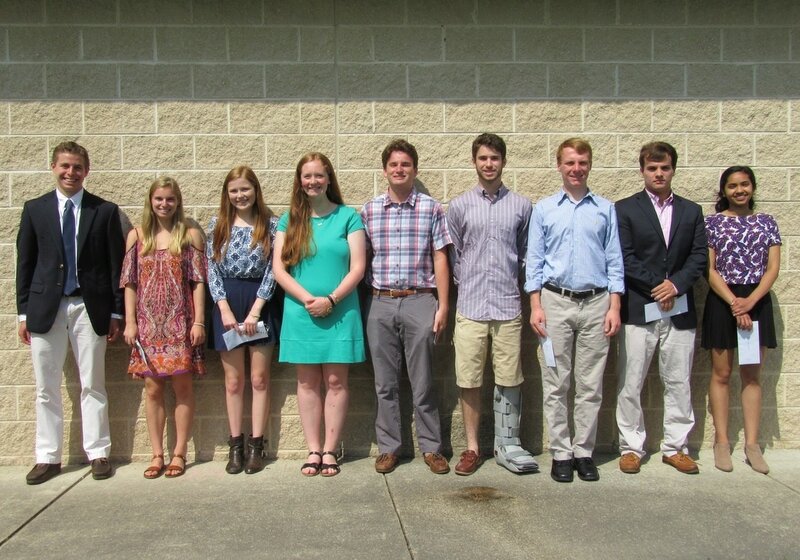 Congratulations to the 2016-2017 Thomas B. Fernald Scholarship winners! All of these former Cardinals have made an impressive impact to our community through their volunteer service. We are pleased to recognize their achievements and contribute to their bright futures through scholarship funds, which can be applied to college tuition or books. Community service is an excellent way to have real life experiences that teach one not only about their community, but about themselves. 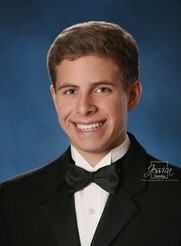 I have completed over 300 hours of community service throughout my high school career. Many of these hours were spent with Senior Connections, the Capital Area Agency on Aging. At Senior Connections I worked to improve the productivity of the Care Coordinators’ work with the senior population by digitalizing required forms. Furthermore, I aided outreach efforts to promote the work of the organization by going to local hospitals to increase knowledge of the resources available for seniors. Additionally, I spent evenings during my junior year teaching adults about emerging social media to help increase internet literacy and safety. Volunteering has helped me develop a passion for helping others and has helped me find meaning in my own life and I look forward to continuing to serve in college, Ut Prosim. 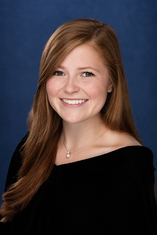 Clare Shupack graduated from Deep Run High School this spring and will be attending the University of Virginia this upcoming fall. 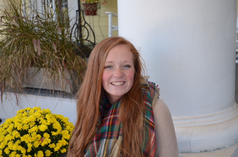 Clare has been actively involved in community service efforts since Kindergarten. She has worked with numerous philanthropic organizations through her years of dedication towards Girl Scouts. Clare’s efforts have benefitted Neighbors Helping Neighbors, The Christmas Mother, Connor’s Heroes, and many more organizations alike. Her most profound accomplishment as a Girl Scout was her construction of a clothing closet for residents of Housing Families First for her Gold Award Project. 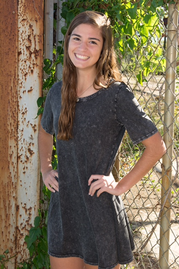 In other community service efforts, Clare has attended several mission trips with Shady Grove United Methodist Church through which she has dedicated weeks of her summer towards serving various communities. 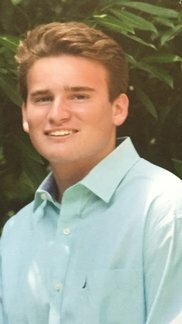 Jack Bagli has been very active in the community during his elementary, middle, and high school years. He has documents over 300 hours by coaching YMCA youth basketball and the local Shady Grove YMCA. He started head-coaching youth basketball teams in his 9th grade year and has loved each year. Jack is also very active in his local church, Saint Michael Catholic Church. 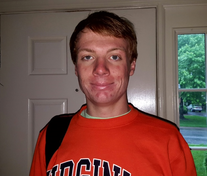 He along with twenty or so other teens help lead faith formation classes, conduct service projects, and provide guidance for both middle school students and high school underclassmen. 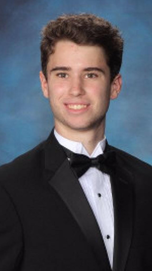 Lastly, Jack held a seat on the PTSA board for Tucker High School all four years and helped fundraise and coordinate various events. When I was a freshman in high school, I founded and led a local R.A.M.P.S community service group. Through this organization, a group of friends and myself constructed ramps outside the homes of the elderly and disabled to provide them with better transportation and allow them to leave their homes much more easily. As a team, we've raised over $3,000 and built 7 ramps throughout the Richmond area - mainly in the inner city. Although this is my most extensive and dedicated area of community service which I've been apart of, I've also been a mentor in a Henrico Exceptional Education Social Skills program. 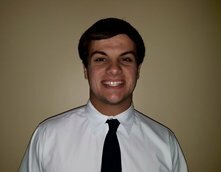 With a group of other high school volunteers, I worked with students with autism on their educational and social abilities over the summer going into my senior year. 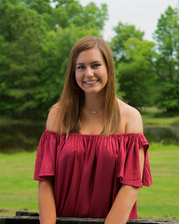 Shannon is graduating from Maggie Walker Governor’s School, and over the past four years she has taken an interest in giving back to both her school and the local community. At Maggie Walker, she started a Mental Health and Disability Awareness club and organized fundraisers for local organizations. Outside of school, she interned at the Faison Center for students with autism and volunteered as a teacher at Homeagain Homeless Shelter, where she taught global awareness and leadership skills to children ages 5-16. Shannon will attend the University of Virginia in the fall, and hopes to continue pursuing her passion for volunteering. Since the time I was young, I have thoroughly enjoyed helping others and giving back to my community. Volleyball has been something I've been passionate about since my time at Shady Grove, so through Richmond Volleyball Club I have been a volunteer coach to teach those in low income communities the game that I fell in love with. In high school, I had the opportunity to be a co-chair for the Deep Run Pink-Out fundraiser, where we spread awareness of breast cancer and sold t-shirts to raise money for Susan G. Komen of Central Virginia. Through my two years involved, we donated over $7,000, and every hour of fundraising was 100% worth it. Through these works of volunteering and many others, I have found a love for giving back and the impact it not only has on others, but also on myself. I am pursuing a degree in nursing at the University of South Carolina where I will work in an environment with the goal of helping others, and I couldn't be more excited for what is to come. I have served the community through my involvement in the Boy Scouts of America. In my troop - Troop 736 - I planned and led my Eagle Scout service project and participated in Scouting for Food. Through my involvement in Scouting's Honor Society, the Order of the Arrow, I was awarded with the gold level of the President's Volunteer Service Award. In the Order of the Arrow, I am currently serving as an officer in Nawakwa Lodge #3. In this role, I have been a part of many service projects ranging from service at the local Scout camp to the annual volunteer efforts of the lodge at the Richmond Nativity Pageant. It's been a while since I've attended Shady Grove, but the lessons I learned there have helped me to serve the community as a young adult. hours a year of community and service, I began to appreciate getting involved in my community. community throughout my educational career is something that I hope all children follow suit in. 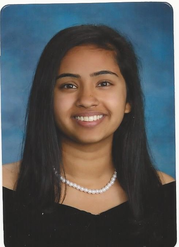 My name is Malavi Ravindran, and my educational journey started off right here at Shady Grove! I learned early on that community service is most meaningful when done genuinely-- that is, with care and compassion. Throughout my high school career, I aimed to achieve this by delving deeper into my passions and interests and learning how they could be used to improve the lives of others. I was a teen volunteer at my local library one summer, and worked at the Children’s Museum of Richmond another. However, I believe that my most meaningful volunteer experience was helping other students in Math. I knew that I enjoyed the subject, and that I had always been good at it. I also knew that there were many students who despised the subject, and I made it my goal to help. In my junior year, I privately tutored two students in Calculus, free of charge. Both of them started off hesitant about their math skills, and ended up with A’s in the class- one even got a 5 on the AP exam! From that moment on, I understood the power of service. That summer, I contacted the Henrico County math department head, and asked him how I could help. I ended up completing a 160 hour internship at the summer school program at Brookland Middle. My role as a teaching assistant in the classroom found me creating assignments, working one on one with the students, and even teaching up at the board! It was an incredibly rewarding experience. I intend to continue with this at Duke, and hope to change the way students see Math. I have really enjoyed doing community service over the years. I have done numerous things within my neighborhood and with organizations that are close to me and my heart. I volunteered with the Richmond Strikers with coaching u9 and u10 soccer teams. I also volunteered for the local triathlons at the YMCA. I loved working with these organizations because they're things I have a lot of interest in and am passionate about. I've also worked with the Caritas organization in giving free eye exams to those in need, as my parents own their own business, Epperson Eye; so, they have taught me a lot about giving back to the community. Also within my neighborhood, I worked at Shady Grove in Mrs. Daniels kindergarten classroom and helped out with the students. It was such a fun experience filled with lots of memories as I was once in room 5 many years ago. Outside of my neighborhood, I helped clean up the James River and volunteered to help out the local city of Richmond. As a kid I participated in the summer camp Passages down on the river, so it was something close to me and something I relate to. My message to future students is to find something you have a lot of interest in and something you're passionate about because it can make a huge impact on both the community and yourself. The Shady Grove Elementary PTA established this scholarship to honor the school’s first principal, Thomas B. Fernald. Mr. Fernald had a strong impact at Shady Grove, making sure he taught his cardinals stewardship and leadership in addition to academics. During his time at Shady Grove, our Cardinals participated in numerous community service projects including Project CARE where the 4th graders applied for an won a Prudential Insurance: Spirit of Community Initiative Grant which provided the students the resources to record books on tape for MVC’s Pediatric Oncology Unit. Students also adopted grandparents from Ginter Hall, made valentines for patients at the VA Hospital and Children’s Hospital, packed lunches for the homeless residents of Richmond’s Freedom House, and participated in Jump Rope for Heart to raise money for the American Heart Association. Mr. Fernald made sure that education at Shady Grove included being thankful, being kind and caring to others, helping the less fortunate thus gaining a deeper appreciation for one’s own blessings. In 2000, the PTA recognized Mr. Fernald’s achievements and began raising funds to honor students who had attended Shady Grove and who have used their time, talent, or education to be a leader in their community. Through 2017, Shady Grove has given out over $70,000 in scholarships to former Cardinals. Although Mr. Fernald retired from Shady Grove in 2003, his legacy of giving to others lives on. If you know a past Shady Grove Cardinal who is graduating from high school this year and who exemplifies stewardship and leadership, please encourage them to apply for the Thomas B. Fernald Scholarship.